IronGear have devoted many hours of research to every element of the Premier Series. 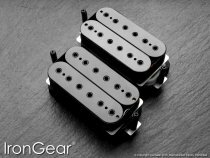 Every pickup is specified to the very highest standards and designed to compete with the most expensive, hand-wound pickups currently available. 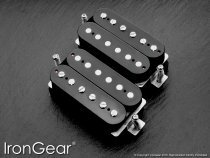 All IronGear Premier Pickups are designed and developed in the UK. These are the pickups upon which the IronGear reputation was built! 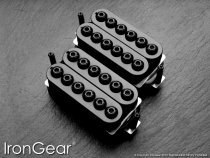 Every pickup offers amazing tone and exceptional value for money. 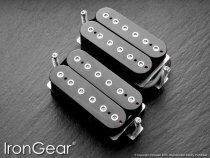 Thousands of satisfied users have enabled the IronGear name to become synonymous with quality and tone. 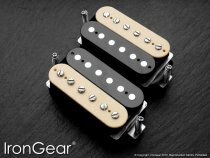 So how do we make pickups of such outstanding quality at these prices? - By putting quality and consistency before mythology! 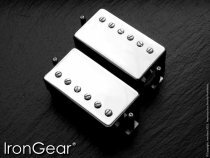 IronGear pickups are made outside of the UK in state-of-the-art facilities. Every pickup is put through rigorous quality control procedures to ensure that it complies with IronGear's exacting specifications. Appropriate and careful use is made of automated manufacturing procedures to ensure that costs are minimised and consistency is kept to an absolute maximum. You don't have to look very far to find pickups with very similar specifications at 3 times the price of these pickups. 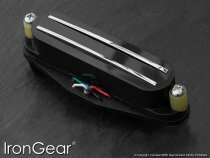 But the bottom line is, IronGear pickups represent incredible value for money and sound utterly amazing! Trust Your Ears!